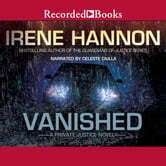 The best-selling author of more than 35 novels, Irene Hannon has garnered two RITA Awards and a slew of other honors. 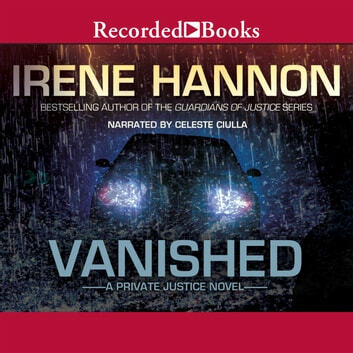 Vanished, the first book in the Private Justice series follows reporter Moira Harrisons, who strikes a pedestrian while driving late one night on a wooded road. Dazed from the crash, Moira sees a second man appear at her window and assure her everything will be all right - but then she passes out. When Moira wakes, both men are gone, and a mystery awaits.